April 2017 – History… the interesting bits! For a King renowned for his love life, Henry VIII has traditionally been depicted as something of a prude, but the story may have been different for the women who shared his bed. How did they take the leap from courtier to lover, to wife? What was Henry really like as a lover? Henry’s women were uniquely placed to experience the tension between his chivalric ideals and the lusts of the handsome, tall, athletic king; his first marriage, to Catherine of Aragon, was on one level a fairy-tale romance, but his affairs with Anne Stafford, Elizabeth Carew and Jane Popincourt undermined it early on. Later, his more established mistresses, Bessie Blount and Mary Boleyn, risked their good names by bearing him illegitimate children. Typical of his time, Henry did not see that casual liaisons might threaten his marriage, until he met the one woman who held him at arm’s length. The arrival of Anne Boleyn changed everything. Her seductive eyes helped rewrite history. After their passionate marriage turned sour, the king rapidly remarried to Jane Seymour. Henry was a man of great appetites, ready to move heaven and earth for a woman he desired; Licence readdresses the experiences of his wives and mistresses in this frank, modern take on the affairs of his heart. What was it really like to be Mrs Henry VIII? 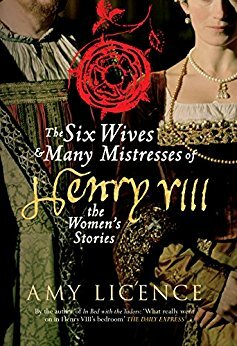 I love the writing style of Amy Licence, she makes history enjoyable and accessible; so much so that when The Six Wives and Many Mistresses of Henry VIII dropped on my doormat I put down what I was reading and jump straight in. And I was not disappointed. A thoroughly fun and entertaining read, this is a book that examines every aspect of Henry VIII’s love life, with particular focus on the women, rather than the king. No stone remains unturned in Amy Licence’s hunt for the women in Henry’s life. Each rumour is examined in great detail, with comprehensive arguments for or against their actual relationship with Henry. 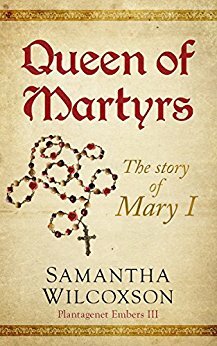 As you would expect, Anne Boleyn and Catherine of Aragon, and the other 4 wives, all find their place within the pages of this book. Bessie Blount and Mary Boleyn are also discussed in detail. Amy Licence does not judge, she tells their stories, the highs and lows, with great sympathy and compassion. The Six Wives and Many Mistresses of Henry VIII also brings to the fore the less well-known women who have been linked to this most controversial of kings. Etiennette de la Baume, Jane Popincourt and several other, even more obscure, women have their relationships with Henry examined. Investigations are also made into the claims of the illegitimate children, not only those of the children of Mary Boleyn, but also those less well-known, such as Thomas Stukley and John Perrot. Amy Licence expertly investigates their claims and convincingly argues the truth – or not – of their parentage. The watchwords for Mary’s relationship with the king were secrecy and discretion. Yet history has tarnished her with scandal and rumour, insults and aspersions, leaving her with a reputation worthiest of the greatest whore at Henry’s court. Just like so many of the facts of Mary’s life, her real personality and appearance elude us. Historians and novelists have deduced various things from the known dates of her service in France, particularly her comparative lack of education and the circumstances of her marriage, yet these have often raised more questions than they have answered. Mary is illuminated in history by the light that fell upon her sister and she has suffered from the comparison ever since. Sadly her light will always be dimmer, her biography more nebulous. Amy Licence has a reputation as an excellent researcher and writer, she shines a light into the deepest, darkest corners of the Tudors and, indeed, history itself. 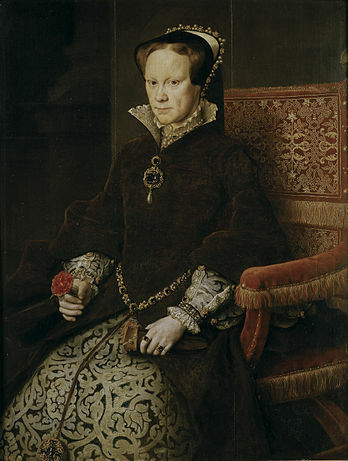 In The Six Wives and Many Mistresses of Henry VIII she brings women into the limelight whose fifteen minutes of fame have long since been extinguished. And that is what is truly amazing about this book, not only are the famous and infamous discussed, but the author also highlights those women who have become footnotes in Henry’s life. Every woman who has been linked to Henry, before and after his death, is examined, as is the veracity of their interractions with the king. She tells their stories, examines their relationship with Henry, the rumours and the truth to them. Through looking into the women involved, Amy Licence also paints a picture of Henry that is rarely seen; Henry the man and lover, rather than Henry the king. Her diligent research and well-thought out arguments demonstrate Henry’s continual search, not only for an heir, but for love itself. We discover a complex man, a king who can have whatever he wants in material possessions, but who is continually searching for the immaterial, a son and true love. The text is supported by over 30 gorgeous, colourful images, photographs and reproductions of paintings which help give the reader an impression of the life and times in which Henry VIII, and the women associated with him, lived. Written in a relaxed narrative, the book is as easy to read as any novel, and as exciting as enjoyable as the best of them. Accessible, engaging and brimming with original research, it would be difficult for anyone to not learn something new when reading this wonderful book. The Six Wives and Many Mistresses of Henry VIII is a wonderful, exquisitely written investigation into the lives of the women in Henry VIII’s life. The Six Wives and Many Mistresses of Henry VIII is available on Amazon in the UK and in the US. “A fine end to a superbly researched and well-written trilogy, one I would recommend to anyone with an interest in this period of history.” Best-selling author Terry Tyler. 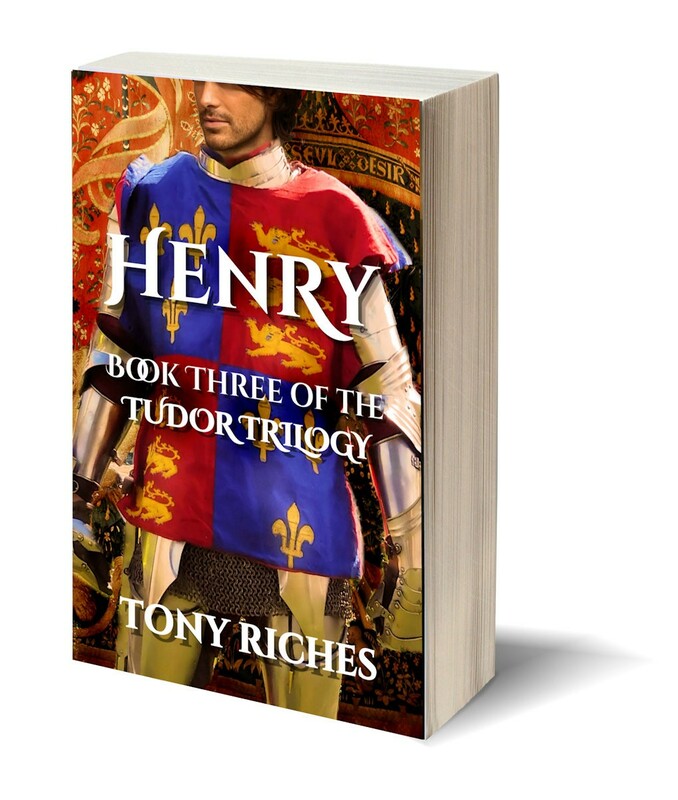 Henry is the final installment of Tony Riches‘ excellent Tudor Trilogy which has followed the rise of the Tudors from Owen’s relationship with Catherine of Valois, through his son, Jasper, and now to his grandson, Henry, the first Tudor king. Opening as Henry is victorious at Bosworth, it follows Henry VII from the moment he becomes king, through the many trials and tribulations of kingship and establishing a new dynasty. This is an enjoyable story of one of England’s least loved and most misunderstood English kings. Tony Riches does an excellent job of giving us an entertaining novel while offering the reader an insight into the life and problems of a man who was not born to be king and who knew little of his subjects after spending his entire adult life in exile in Brittany. I love the fact that Henry is not the finished product from the very beginning. The author has thought hard about how a man, who suddenly becomes king, may act when feeling his way through the maze of court politics, factions and family divisions, and the actual day-to-day challenges of ruling a country that has suffered 30 years of intermittent warfare and political instability. Henry paints a portrait of Henry as a man who grew into his role as king, learning from his mistakes and facing up to his insecurities; insecurities arising not from his right to the throne, but from the challenges facing him and not knowing what happened to the Princes in the Tower. Henry Tudor is portrayed as a all-too-human; a man whose decisions about others way on his soul, but are made to ensure the security of himself and his family. He walks a fine line in an attempt to appease his opponents whilst establishing his authority – and his dynasty. Jasper sat in the spare chair and the stubble on his chin as he considered the question. He’d chosen to shave his beard on the journey from Wales. He looked younger clean-shaven, but a beard suited his uncle, and Henry guessed he was already growing it back. Henry is the story of one man’s life and kingship. Moments of crisis and sincerity are interspersed with little moments of tenderness and humour. Tony Riches has taken time to seriously consider the character of his subject, and this comes across in every page of the book. He seems to have spent no less time on the supporting characters. Jasper Tudor and Margaret Beaufort, who have played prominent parts in all 3 book of the Tudor Trilogy are pivotal characters and are well thought out, complex figures. Henry respects them deeply and is well aware of the sacrifices they have made that got him to the throne. Each character in the book is credible, believable, and has his, or her, own unique qualities. The headstrong future king, Henry VIII is wonderfully contrasted with quiet and studious Prince Arthur, while the delightful Mary Tudor steals every scene in which she appears. The novel tells the story of Henry and Elizabeth with sensitivity and compassion; charting their life together from the first moments of getting to know each other, through the births and deaths of their children, and the toll that takes on them, not only as individuals, but also as a couple. Indeed, the author seriously considers the effect that being king must have had on Henry’s family life, the compromises he had to make. You get the impression that the poor chap never had enough time in the day to do everything he wanted and that every personal loss takes away a little part of him. There are many novels set during the Wars of the Roses. The huge majority revolve around Richard III and the disappearance of the Princes in the Tower. If a novel sees Richard III as a hero, then you can practically guarantee that Henry Tudor is the villain. With Henry, you would therefore be forgiven for expecting the opposite; Henry the hero and Richard the villain. Richard, of course, gets mentioned, but the story does not revolve around the fallen king and his guilt or innocence, rather it puts him firmly where he was when Henry was king – in the past! As a novel, Tony Riches has created a fast-paced, enjoyable tale that is virtually impossible to put down – at least until your eyelids are so heavy they need matchsticks to hold them up. It also gives you a deeper understanding of the founder of the Tudor dynasty. I defy anyone – except, maybe, the most ardent of Yorkists – to read this book and not develop a deeper understanding of Henry VII, of the challenges he faced and compromises he made in order to secure peace for the realm and the continuation of his dynasty. 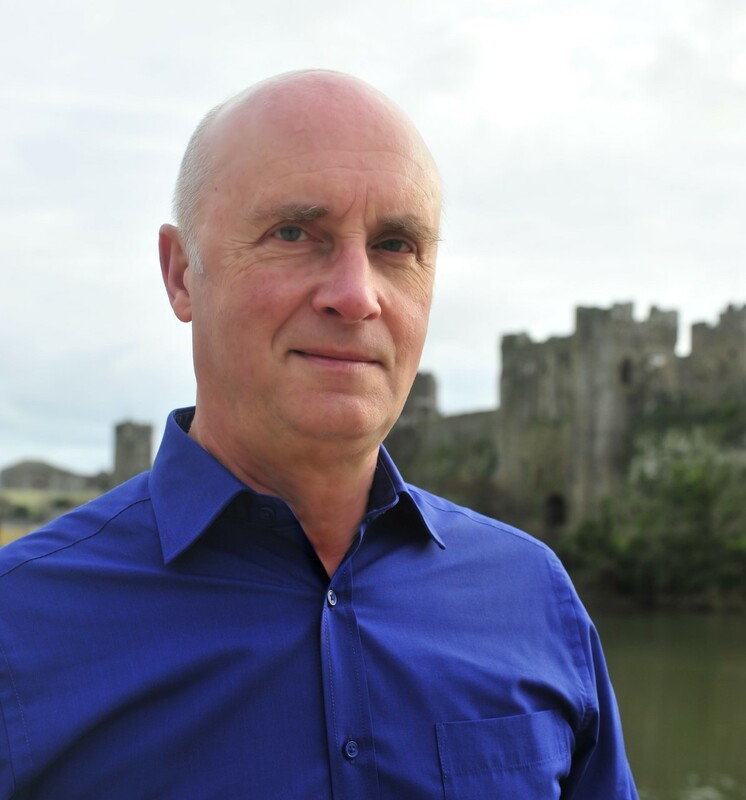 Henry is a must-read book for anyone who has a love of medieval history, the Wars of the Roses and the Tudors. Although part of a series, Henry can definitely be read as a standalone. Entertaining and insightful, it tells a story that has rarely been told – the one from Henry’s own viewpoint. This is the story of the foundation of, arguably, England’s most famous royal house – and is not to be missed! Instead of Tudor, Henry could have been called ‘Tidder’ or ‘Tetyr’ or even Tewdwr It seems the name Tudor was a simplification used by scribes in the time of Henry’s grandfather, Owen Tudor. After his victory at the Battle of Bosworth Henry led a procession through the narrow streets of York, where he was attacked by a man with a dagger. His bodyguards saved him but his reign was nearly over before it began – and he later travelled with some fifty ‘Yeomen of the Guard’ for protection. Henry didn’t invent the ‘Tudor rose’ – the combined red and white roses had long been known as symbols of the Virgin, representing sacrifice and purity – he simply adopted it as his ‘branding’. Henry loved gambling with cards and dice and lost huge sums more often than he won. He also kept detailed records of who he’d played against (which included his wife, Elizabeth of York)– and how much he’d lost. As well as lions and other dangerous animals, which he kept at the Tower of London, Henry kept a pet monkey, thought to be a marmoset, in his private chambers. One day he discovered it had torn up his detailed diary, so there is a gap in his meticulous records. When the pretender Perkin Warbeck was finally captured, Henry was so enamoured of Warbeck’s wife, Lady Katheryn Gordon, that he kept them both in his household – but wouldn’t let them sleep together. He also bought Lady Katheryn expensive dresses and she became a close companion and confidante, even after Henry had her husband executed. Henry nearly lost his crown to a mob of Cornish rebels, who marched on London in an armed protest against his tax raising. More men joined them on the way and the rebels reached Blackheath before they could be stopped. At Christmas 1497 Henry and his family were woken in the night by a fire in his private chambers at Sheen Palace. They barely escaped with their lives but the old palace was ruined and Henry had it rebuilt as the Palace of Richmond. Towards the end of his life Henry suffered from a throat disease referred to as ‘the quinsy’ which his physicians treated (unsuccessfully) with a remedy of celandine, fenugreek and hedgehog fat. Ela of Salisbury was intended to be one of my Heroines of the Medieval World; however I ran out of words before I could tell her story – I had a word limit of 110,000 and poor Ela was one of the victims of this. So, I decided I would turn her into a blog post instead. Ela was born at Amesbury in Wiltshire in 1187. She was the only surviving child – and sole heir – of William FitzPatrick, earl of Salisbury, and his wife, Eleanor de Vitré. Her father was a descendant of Walter, an ally of William the Conqueror, who had rewarded his support at Hastings with great estates which eventually passed to Ela. When her father died in 1196, Ela became Countess of Salisbury in her own right, and the most prized heiress in England. There is a story that little Ela, only 9 years old at the time of her father’s death, was kidnapped by her uncle and hidden away in a castle in Normandy, so that he could gain control of the vast Salisbury inheritance. The tale goes, that an English knight, named William Talbot, toured the Norman castles in search of poor Ela, he would sing ballads beneath castle windows in the hope that the little Countess would hear him and join in with his singing. Whether a romantic legend or a true story, who can tell? Whether she was rescued, or never kidnapped in the first place, we do not know. However, what we do know is that, on her father’s death, Ela’s wardship passed into the hands of the king himself, Richard I, the Lionheart. 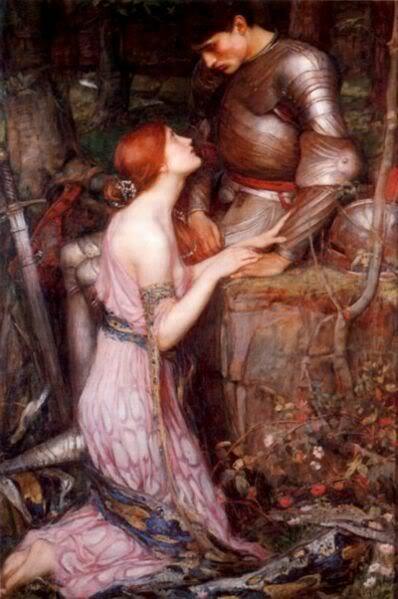 The king saw Ela as the opportunity to reward his loyal, but illegitimate, brother, William Longspée (or Longsword), by offering him her hand in marriage. The Salisbury lands were a suitable reward for a king’s son, especially one born out of wedlock. William Longspée was the son of Henry II by Ida de Tosney, wife of Roger Bigod, earl of Norfolk, from a relationship she had with the king before her marriage. For many years, it was thought that Longspée was the son of a common harlot, called Ikenai, and a full brother of another of Henry’s illegitimate sons, Geoffrey, Archbishop of York. There were also theories that his mother was, Rosamund Clifford, famed in ballads as ‘the Fair Rosamund’. However, it is now considered beyond doubt that his mother was, in fact, Ida de Tosney, with two pieces of evidence supporting this. There is a charter in the cartulary of Bradenstoke Priory, made by William Longspée, in which he identifies his mother as the Countess Ida. There is also a prisoner roll from after the Battle of Bouvines, in which William Longspée is listed as the brother of Ralph Bigod. Despite the misunderstandings over his mother, the identity of William Longspée’s father was never in doubt. He was Henry II’s son and served two of his half-brothers; Richard I and King John. At the time of his marriage to Ela, Longspée was in his early-to-mid-20’s, while his bride was not yet 10 years old, although she would not have been expected to consummate the marriage until she was 14 or 15. William I Longspée had an impressive career during the reigns of his half-brothers, he served in Normandy with Richard between 1196 and 1198, and took part in John’s coronation in May, 1199. In 1213 he destroyed the French fleet off the Flemish coast. He commanded an army in northern France for John in 1214; and in July of the same year, he was captured at the Battle of Bouvines, after being clubbed on the head by the Bishop of Beauvais. Longspée was held for ransom and eventually exchanged, in March 1215, for John’s prisoner, Robert of Dreux, who had been captured at Nantes in 1214. Following the death of King John in October 1216, Longspée swore loyalty to his 9-year-old nephew, Henry III in March 1217. He was part of William Marshal’s army at the Battle of Lincoln Fair, when Lincoln Castle and its formidable castellan, Nicholaa de la Haye, were finally relieved from a 3-month siege by the French under the Comte de Perche. Although we know little-to-nothing of their married life, it appears to have been happy. The couple had at least 8 children together, if not more; 4 boys and 4 girls. Of their younger boys, Richard became a canon at the newly built Salisbury Cathedral, while Nicholas eventually rose to be Bishop of Salisbury and Stephen became Senschal of Gascony and Justiciar of Ireland. The oldest son, William II Longspée, 4th Earl of Salisbury, was married to Idonea, granddaughter and sole heiress of the formidable Nicholaa de la Haye, who held Lincoln Castle against the French. 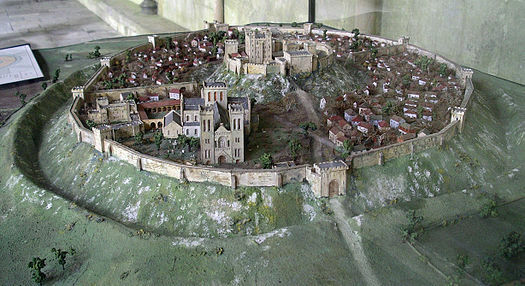 Young William and Nicholaa de la Haye would spend several years in legal disputes over the inheritance of Nicholaa’s Lincolnshire holdings; a compromise was finally reached in which Nicholaa retained possession of Lincoln Castle, while William held the city of Lincoln, itself. 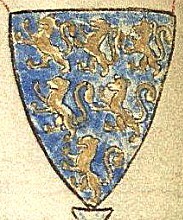 William II Longspée went on Crusade with Richard, Earl of Cornwall, in 1240-1 and later led the English contingent in the Seventh Crusade, led by Louis IX of France. His company formed part of the doomed vanguard, which was overwhelmed at Mansourah in Egypt, in on 8th February 1250. William’s body was buried in Acre, but his effigy lies atop an empty tomb in Salisbury Cathedral. His mother is said to have experienced a vision of her son’s last moments at the time of his death. Of the couple’s 4 daughters, Petronilla died unmarried, possibly having become a nun. Isabella married William de Vescy, Lord of Alnwick and had children before her death in 1244. Named after her mother, Ela married, firstly Thomas de Beaumont, Earl of Warwick and, secondly, Phillip Basset; sadly, she had no children by either husband. A fourth daughter, Ida, married Walter Fitzrobert; her second marriage was to William de Beauchamp, Baron Bedford, by whom she had 6 children. As it turned out, William Longspée was still alive and eventually returned to his wife. However, he never seems to have recovered fully from his injuries and died at the royal castle at Salisbury shortly after his return home, on 7th March 1226. He was buried in a splendid tomb in Salisbury Cathedral. Ela did not marry again. On her husband’s death, she was forced to relinquish her custody of the castle (although she did eventually buy it back), but was allowed to take over her husband’s role as Sheriff of Wiltshire, which he had held 3 times, holding the office continuously from 1213 until his death in 1226. Ela acted as Sheriff until 1228. She was known as a great patron of religious houses; she and her husband had co-founded Salisbury Cathedral and Ela herself founded 2 Augustinian religious houses. She managed to lay the foundation stones of both, at Hinton and Lacock, 16 miles apart, on the same day. 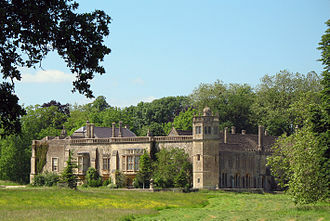 The abbey at Hinton, Somerset, was endowed for monks, in memory of her husband, after they had found the original house, founded by Longspée at Hathorp unsuitable. Lacock Priory was established in 1230 as a house for Augustinian canonesses at the village of Lacock in Wiltshire. Ela herself entered the priory in 1237 and became the first Abbess when it was upgraded to an Abbey in 1239. As Abbess, Ela was able to secure many rights and privileges for the abbey and its village. She obtained a copy of the 1225 issue of Magna Carta, which had been given to her husband for him to distribute around Wiltshire. She remained Abbess for 20 years, resigning in 1259. Ela remained at the abbey, however, and died there on 24th August, 1261. Ela of Salisbury outlived both her eldest son and grandson. She was succeeded as Countess of Salisbury by her great-granddaughter, Margaret, who was the daughter of William III Longspée. Margaret was married to Henry de Lacey, 3rd Earl of Lincoln, and was the mother of Alice de Lacey, 4th Countess of Lincoln and the unfortunate, unloved wife of Thomas, Earl of Lancaster, who was killed in rebellion against Edward II, at the Battle of Boroughbridge in 1322. 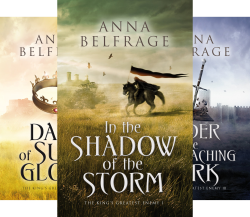 Today I am honoured to welcome the inimitable Anne Belfrage to History…the Interesting Bits. 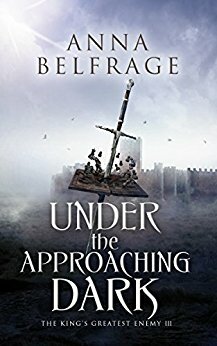 Anna’s latest novel, Under the Approaching Dark comes out today. The 3rd instalment in the King’s Greatest Enemy series promises to be as tense, exciting and nail biting as the first two books. Set in the times of Edward II and Queen Isabella, the series follows the fortunes of Kit and Adam de Guirande through one of the most turbulent periods of English history. Look out for my review, which will be live in a couple of days. In the meantime, Anna and I had an interesting little chat…. Hi Anna, thank you so much for talking to me about your fabulous books. Welcome to History…the Interesting Bits. Tell me about your latest book, is it going to make me cry? I hope so 😊 Well, at least a little, although I think it will be more nail-biting than tears. 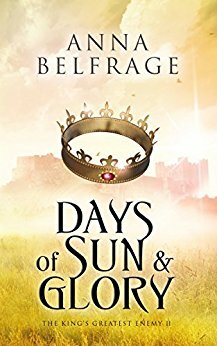 It is the 3rd in a series of books about Kit and Adam, set in the tumultuous reign of Edward II. What attracted you to that particular period of history? Who is your favourite real historical person? And why? And which historic person do you like least? Lenin comes VERY high on that list as does Stalin and Hitler. And I’ve never liked Cleopatra, but can’t quite tell you why. So, do you think Edward II survived his own murder? Ah, that would be telling wouldn’t it? Besides, shouldn’t you say “his own death”, not “his own murder” as we don’t know if he was helped along, so to say? Rumour has it that he was, but in this age littered with fake news, one should learn to take rumour with a pinch of salt. I like it that there are a lot of uncertainties around Edward II’s demise, thereby giving me as a novelist quite some leeway. And because I like Edward II as a person if not as a king, I sort of hope he didn’t die at Berkeley in 1327. Is this the end of the series, or are their more stories to come, featuring Kit and Adam? The series consists of four books, so there’s one more to come (out very early next year). I am playing around with a further book, but more along the lines of a stand-alone mystery story. On the other hand, I have so much other stuff I want to write about, so we’ll see. What made you create Kit the way she is, a strong woman who is firmly set within the confines of the social rules of fourteenth century England? Were you ever tempted to put a sword in her hand and send her into battle? No, I never wanted to hand Kit a sword—she just isn’t the type. She has her strong points, and in making her literate and capable of swimming I have already stretched things a bit, so having her also being some sort of medieval ninja jarred. It was important to me to create a credible 14th century woman, and while Adam worships the ground his wife walks on, he never delegates the truly important decisions to her—even if he does discuss them with her. And Kit doesn’t expect him to do so, she is fully aware of her position as wife and helpmeet and the restrictions this comes with. The escapism. It is quite wonderful to step into a bubble of my own creation and forget about everyday life for a while. The not getting it right. I know exactly what I want to convey, but what I write is clunky and imprecise, and I have all these words on the tip of my tongue (or at the tip of my fingers) but they won’t quite come. I work full time as a Financial Director which means my days are organised around work. My writing takes place in the evenings and weekends, and once I start on a new project, I let the story run its course, writing until my fingers bleed (well, figuratively speaking). After that comes the truly fun part: the rewrites. I try to block off time for “pure writing” as opposed to writing blog posts and stuff like that. Who have been the big influencers of your writing? I work hard on developing my own voice, but historical writers I admire are Sharon K Penman, Edith Pargetter, Dorothy Dunnett, Diana Gabaldon, Elizabeth Chadwick and Conn Iggulden to name a few. And then there are all the other writers, such as Stephen Fry, García Marquéz, Strindberg, Nevile Shute, Hemingway…an endless list. How long have you spent researching your characters? All in all, several years. I enjoy connecting with other likeminded people, but it is also a time-thief. What frustrates me is not quite knowing what works/doesn’t work when it comes to twitter, for example. One day, a tweet will have fifty-odd RTs, the next time I post the same tweet, it gets 3. Very stochastic, isn’t it? What is your next project going to be about? Well, I have a trilogy ready to go set in the present day but featuring Jason and Helle who have lived and died innumerable times since that first time in which they loved, lost and died. Jason desperately wants a second chance, an opportunity to make things up to her. Helle has no idea she is a reincarnated soul, and coming face to face with this man she has these vague dreams about is not an entirely pleasant experience. Plus, of course, there’s another person involved—the man who crushed them last time round and who has every intention of doing so again. 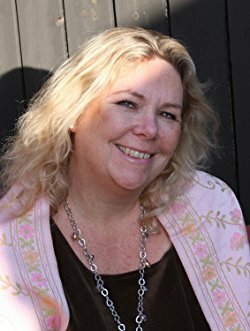 From a historical fiction perspective, I have two projects: one is set in 17th century Sweden, the other in 13th century England featuring a very young woman, Ellie, and her husband, one of Edward I’s loyal men. Plus I have this rather exciting time travel thingy growing like a mushroom in the darker corners of my brain, in which Tewkesbury Abbey plays an important role. Anna, I wish you every success with the book. It was a pleasure, Sharon – and especially seeing as you so generously expend your time on reading and reviewing my books. Authors like me are very dependent on bloggers like you! Aw, thank you – it is truly a pleasure to be able to read your fabulous stories, Anna. Today over at The Review, you can read my thoughts on Darius Stransky’s latest novel in his The King’s Jew series set in the time of Edward I and his loyal knight, Cristian Gilleson, The King’s Jew. Book Two: In the Shadow of the King. The Middle Years. 1265 to 1274. And there’s a fabulous giveaway! With one paperback copy and 3 e-books to be won. A few years ago I read and devoured The King’s Jew by Darius Stransky, so when I got the opportunity to read and review its sequel, The King’s Jew Book 2: In the shadow of the king. The middle years. 1265 to 1274, I jumped at the chance. It follows the story of Cristian Gilleson, a knight in the service of Henry III’s son and heir, the Lord Edward. Book 1 told the story of Cristian’s early life and his friendship with Edward, ending with the Battle of Evesham and the destruction of the rebel army under Simon de Montfort. Book 2 picks up immediately where the first left off. 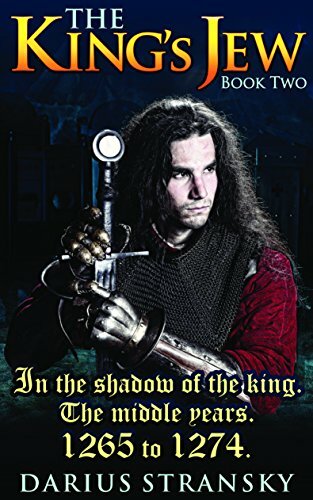 The King’s Jew Book 2: In the shadow of the king. The middle years. 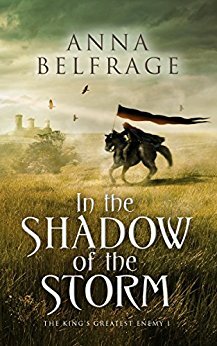 1265 to 1274 takes us on a journey that incorporates the aftermath of Evesham, the Crusades and Edward’s accession to the throne itself. Told in flashback, from Westminster Abbey, where Cristian is holding vigil at Edward I’s bier on the night before his funeral, the story unfolds with the sense of danger ever present, both in 1307 and in the preceding years. Cristian’s enemies are determined to see him destroyed, as much for the secrets of his birth as for his actions in support of Edward since they first became friends.